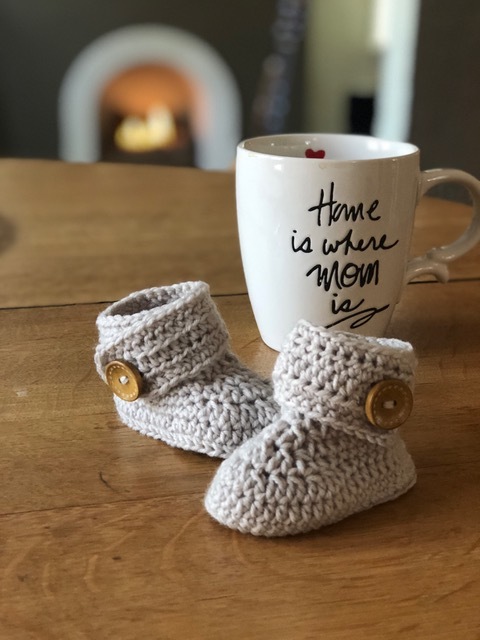 These cute baby booties bring a whole new meaning to the term “bootie-licious” – I mean seriously how cute are they! I wish I could take credit for the crochet pattern, but kudos go to a talented pattern designer named “Leafs Creations” from The Netherlands. You can purchase it through her store on Etsy or downloads on Ravelry and Craftsy. Links below! This crochet pattern calls for a sport weight yarn, which I purchased at Hobby Lobby. It’s called SWEET DELIGHT®. One skein was about $5 but oh you can crochet so many cute baby booties with just one skein! Or make a set, a hat and booties perhaps? I found the pattern easy to follow, and all of the photos helped too. The only challenge for me was making sure I didn’t miss a stitch or miscount – so as to end up with two different sizes 🙂 But other than that it’s pretty straightforward. Baby Bee SWEET DELIGHT® in the grey color “Cloudy” and natural color “Naked” – available at Hobby Lobby. Wood Buttons also purchased at Hobby Lobby 6 for just $2! Would you rather knit a pair? 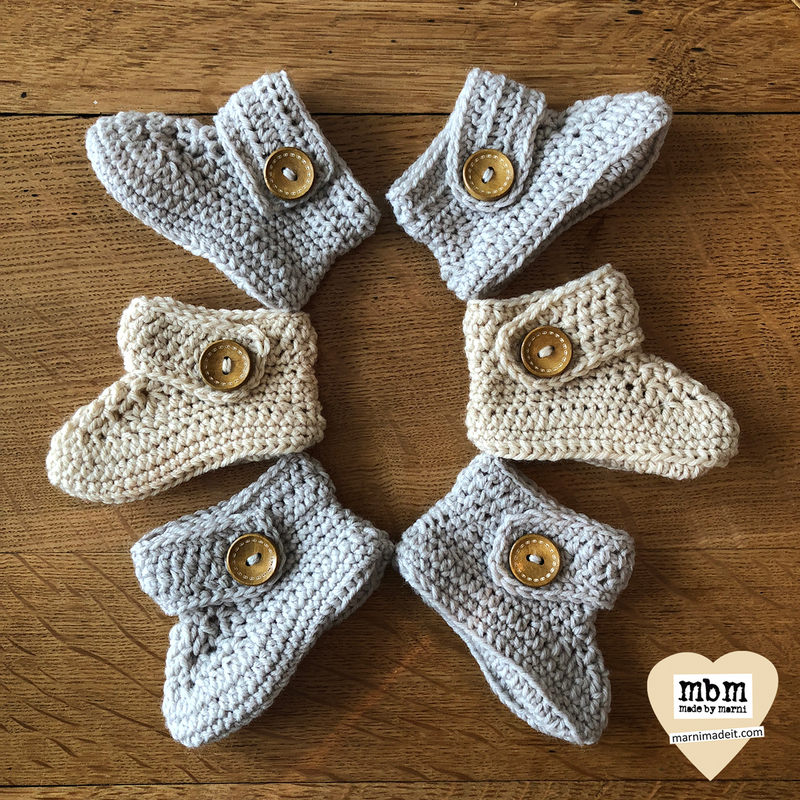 Try my HandKnit Baby Booties pattern – it’s free and I offer a video tutorial too!